Gaelic poet and academic Meg Bateman was born and raised in Edinburgh, where she attended Mary Erskine’s school for girls. After school, she attended university in Bristol and Aberdeen, where she studied for a doctorate in Medieval Religious Poetry in Gaelic. 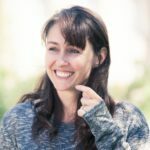 An academic, she has taught at Aberdeen University’s Celtic department and now teaches at Sabhal Mor Ostaig, the Gaelic College in Skye. She lives on Skye, on the Sleat peninsula. She began writing poetry in Gaelic in her mid-twenties, and her first published collection, Òrain Ghaoil / Amhràin Ghrà came out in 1989, with poems in both Scots and Irish Gaelic. 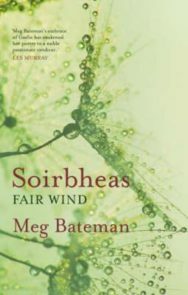 Her second collection, Aotromachd agus Dain Eile (Lightness and Other Poems) was published in 1997, and her third, Soirbheas – (Fair Wind) was shortlisted for a 2007 Saltire Society award. 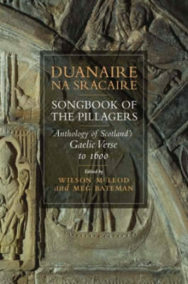 Bateman has also edited and translated two anthologies of Gaelic poetry, Gàir Nan Clàrsach (The Harps’ Cry) in 1993 and Duanaire na Sracaire: Anthology of Scotland’s Gaelic Verse to 1600, published in 2007.